Global Blood Therapeutics (GBT) has persuaded the FDA to accept biomarker data from a phase III trial of sickle cell disease drug voxelotor as part of a filing for accelerated approval. The South San Francisco biotech says it will be able to file on the strength of data from a phase III trial showing that voxelotor can improve haemoglobin levels and reduce red blood cell destruction (haemolysis), rather than clinical endpoints such as a reduction in the painful vaso-occlusive crises (VOCs) that afflict sickle cell patients. GBT will file under the FDA’s truncated subpart H approval pathway, used to hasten the approval of drugs for serious and rare diseases with inadequate treatment options, and won’t have to provide data on clinical endpoints until after the drug has been launched. The news came as GBT presented preliminary results from 154 adolescents and adults with sickle cell disease, treated with two doses of voxelotor or placebo, at the American Society of Haematology (ASH) congress in San Diego. All told, 65% of patients on the higher 1500 mg dose of voxelotor achieved a haemoglobin response, defined as an increase of at least one gram per decilitre after 24 weeks, which compared to 33% of the lower dose (900 mg) group and 10% of patients on placebo. In some cases, the improvements were seen in patients who were also being treated with hydroxyurea, the standard therapy. Sickle cell is an inherited disease which leads to the formation of impaired haemoglobin and, in turn, ‘sickling’ of red blood cells. These misshapen cells can then block small blood vessels, causing pain, organ damage, stroke and even death in severe cases. Voxelotor is thought to work by encouraging oxygen to bind to haemoglobin more tightly, which prevents the sickling of cells. There was also evidence for reduced haemolysis with voxelotor, and patients on both doses of the drug actually suffered fewer VOCs than those on placebo, although the study wasn’t powered to show a statistical improvement over control. Much of the attention in sickle cell R&D of late has been on the promise of gene therapy, and there was some encouraging news in that area at ASH. A pilot study of a gene therapy based on an infusion of patients’ own stem cells modified to produce healthy haemoglobin showed encouraging results, with one patient who previously required monthly blood transfusions now managing with a transfusion every 6 months. Meanwhile, Bluebird Bio reported data on its LentiGlobin gene therapy in sickle cell disease – which has already been filed for approval in Europe for beta thalassemia – showing an increase in total haemoglobin levels. The prospects for gene therapies remain somewhat speculative, however, and in the meantime voxelotor and other drugs could provide a much-needed advance on current treatment. Among these, Novartis is working on an anti-P-selectin antibody called crizanlizumab (SEG101), which is in late-stage development and according to the company has the potential to “change the standard of care” in sickle cell by preventing the pathological process that leads to VOC. 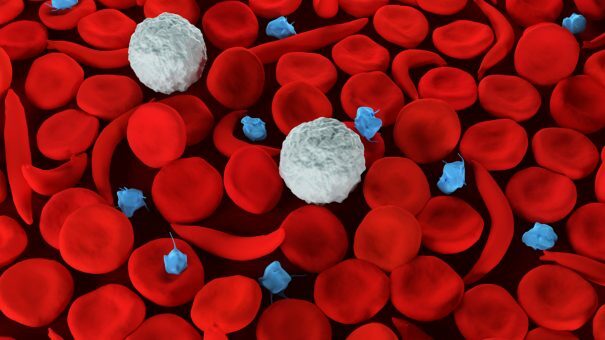 Novo Nordisk entered the sector by licensing a small-molecule drug for sickle cell from EpiDestiny for $400 million, suggesting it could be an alternative to hydroxyurea. The drug – called EPI01 – is thought to encourage the production of a foetal form of haemoglobin that dilutes the impaired form of the molecule and improves the overall ability of the blood to carry oxygen. It is in phase I testing. Finally, Vertex and CRISPR Therapeutics were cleared by the FDA a few weeks ago to start a phase I/II trial of gene-editing drug CTX001, based on CRISPR/Cas9 technology, that had been placed on a clinical hold by the FDA.